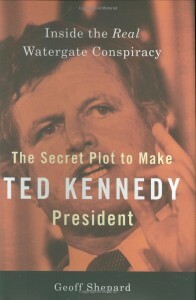 The author’s first Watergate book, The Secret Plot to Make Ted Kennedy President, was published by Penguin Sentinel in 2008. 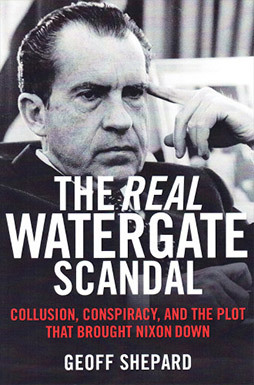 It explores the political forces behind the successful exploitation of the Watergate scandal to realign political power following Nixon’s landslide 1972 re-election. Drawing on internal documents obtained from the National Archives, the book details how the crimes of Watergate had been solved well before any special prosecutor was appointed, and how Kennedy Democrats wrenched control of the case from career prosecutors. To investigate Senator Kennedy’s potential opponents in his expected 1976 run for the presidency. The book also shows how the Kennedy hijack of the Watergate scandal pioneered the politics of personal destruction-and details how American politics are still being practiced and influenced by those who developed their techniques on staffs of the Watergate Special Prosecution Force, the Ervin Committee and the House Judiciary Impeachment Inquiry. The book turns a lot of conventional wisdom regarding Watergate on its head. Lots of supposed Watergate heroes do not fare particularly well, including Senator Ted Kennedy, John Dean, Bob Woodward, and a young lawyer named Hillary Rodham. While now out of print, new and used copies can be obtained through bookfinder.com.